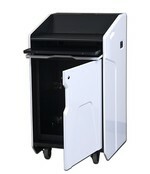 We offer an extensive line of podiums, from traditional basic podiums to executive podiums. 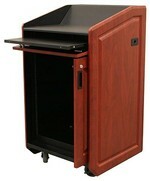 Executive podiums feature clean lines with no visible hardware that faces the audience, they offer a more durable stain and scratch resistant laminate with no seams. 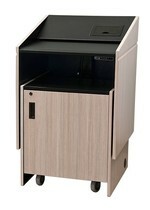 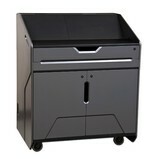 We even offer electric lift podiums to accommodate the correct work surface height for any user. 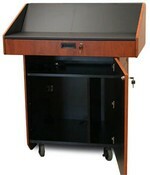 Audio video table boxes can be added into the podium to achieve the ultimate audio visual presentation. 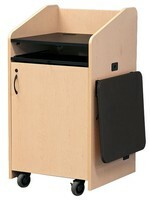 With multiple styles and colors to choose from we can find the right podium for your presentation needs.